Sweetwater County, Wyo., has announced it is offering a warm welcome to motorcycle enthusiasts eager to pack up their bikes and head for the open roads of Wyoming this fall. Increasingly, tourism officials across the United States are discovering that motorcyclists are an important and valued demographic. Especially in the autumn, when the boom of summer trade begins to ebb. With temperatures cooling and fewer families out on the roads, however, it is a perfect time for riders to suit up and explore the great American landscape. To encourage motorcyclists to steer toward their county, which shares a border with Colorado and Utah, Sweetwater County is offering a wealth of information on what to see and where to stay. 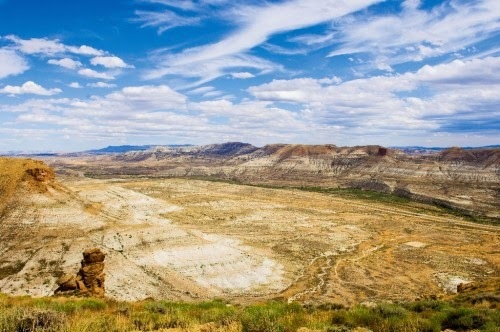 Located halfway between Yellowstone and Canyonlands National Parks in southwest Wyoming, the county is home to 10,500 square miles of high desert. 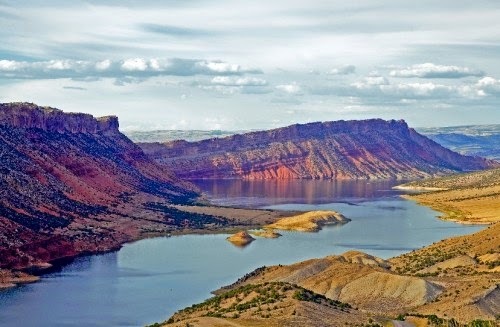 Known as "Flaming Gorge Country" the area is characterized by the 91-square-mile Flaming Gorge Lake, the Green River, expansive deserts and rugged mountains. Sweetwater County tourism officials say your first port of call should be the new visitor's center in Green River (1155 W. Flaming Gorge Way). The center serves as a good starting point and offers information and resources, including maps and directions. Mobile phone apps and guided audio tours will also enhance the experience. The county is home to wide-open vistas, high deserts and rugged mountains that were once traversed by Native Americans, mountain men, pioneers and outlaws. Scenic overlooks allow opportunities to stretch your legs. Highways 191 and 530, encircling Flaming Gorge National Recreation Area, are designated state scenic byways and make for particularly scenic riding. Untamed horses, moose, elk, deer, antelope and big-horn sheep roam the area. The Flaming Gorge-Green River Basin Scenic Byway is accessible from the towns of Green River and Rock Springs via Interstate 80. The 160-mile loop dips into Utah and takes about three hours. Shorter rides can also be found, such as the Pilot Butte Wild Horse Scenic Tour, north of Green River. Only 24 miles long, it will take about 1 hour of road time, depending on how many stops you make to check out the herds of wild horses. The county boasts a number of hotels and campsites, such as the Buckboard Crossing Campground, which is a near a marina offering boat rentals, fuel, fishing license, bait and groceries. For a desert experience, consider Firehole Canyon Campground. Equally, there are numerous spots to fill your own personal fuel tank (your stomach) after a long day of riding. Sweetwater County officials point in particular to places like Bitter Creek Brewing, a casual brew pub, and Coyote Creek Steakhouse & Saloon, both in downtown Rock Springs. Also in the historic town is Cowboy Donuts: a great place to feast on fresh-baked raised donuts, cake donuts, kolaches and a strong cup of coffee. For more information, visit the Sweetwater County tourism website.